Sweet Little Cats and Austin Shepard continued a great comeback following a slow start Tuesday in Glen Rose, Texas, by winning the Bonanza Cutting 4-Year-Old Open finals with a 219 to earn $35,133. 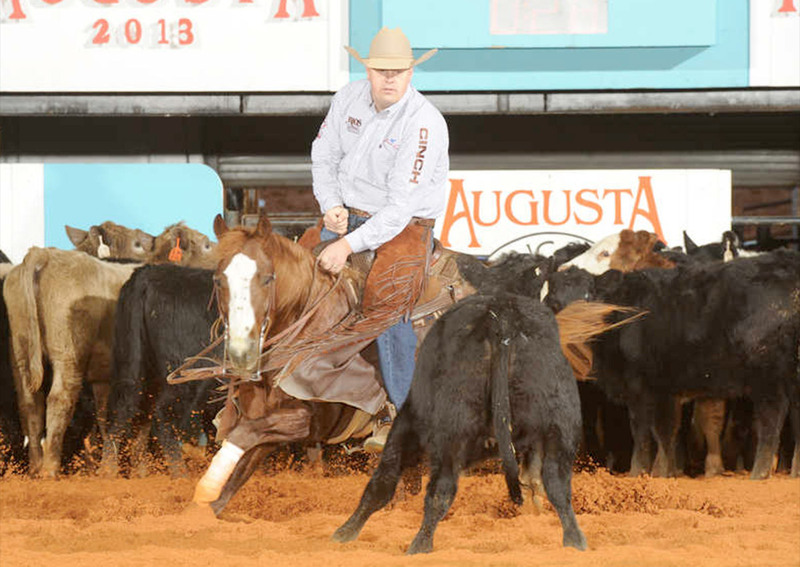 The 2009 stallion full brother of Shepard’s 2007 National Cutting Horse Association (NCHA) Futurity Open Champion partner High Brow CD, a 2004 stallion, and the Summerdale, Ala., trainer didn’t fare well during their late-fall debut in Fort Worth. Sweet Little Cats, owned by Highland City, Fla., funeral home owner Lew Hall, and Shepard lost the first cow they cut in the first round at fall’s 2012 NCHA Futurity. Since late January, though, they’ve made consecutive 4-Year-Old Open finals in Augusta, Ga., Tunica, Miss., and Glen Rose, Texas, finishing seventh, third and first, to earn $52,683 at three shows within the past 18 days. This is the first time Shepard, 35, and a career earner of more than $5 million as a cutting horse rider, has ever competed at the Bonanza Cutting in Texas. The 31st edition of the show appears poised to set new payout and entry records. Its total 4-Year-Old Open payout topped $203,000.